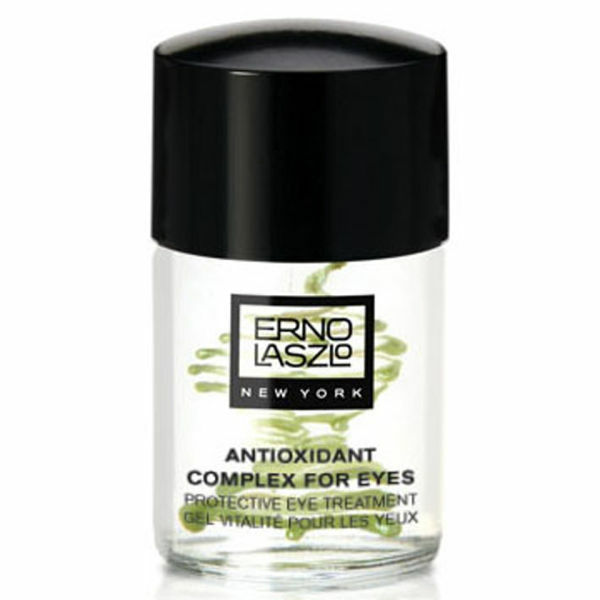 Designed to tighten and tone the delicate eye area whilst reducing the appearance of dark circles, the Antioxidant Complex for Eyes by Erno Laszlo contains innovative, effective ingredients which deliver results. Formulated with Vitamin C and Retinyl Palmitate to strengthen the skin and increase elasticity, in addition to Grape, Mulberry, Saxifraga and Scutellaria extracts to reduce melanin production, this cream will induce a new lease of life to tired eyes. K.D. Pat gently over the eye area, moving from the outer to inner corners, avoiding the lash lines. 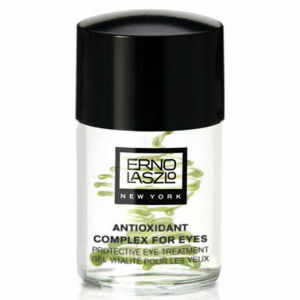 May be layered with other Erno Laszlo eye treatments.